These natural capsules provide an organic alternative for eliminating parasites and is 100% safe for both cats and dogs. The convenient capsule form can be pulled apart and the contents mixed with a small amount of your pet’s favorite wet food. 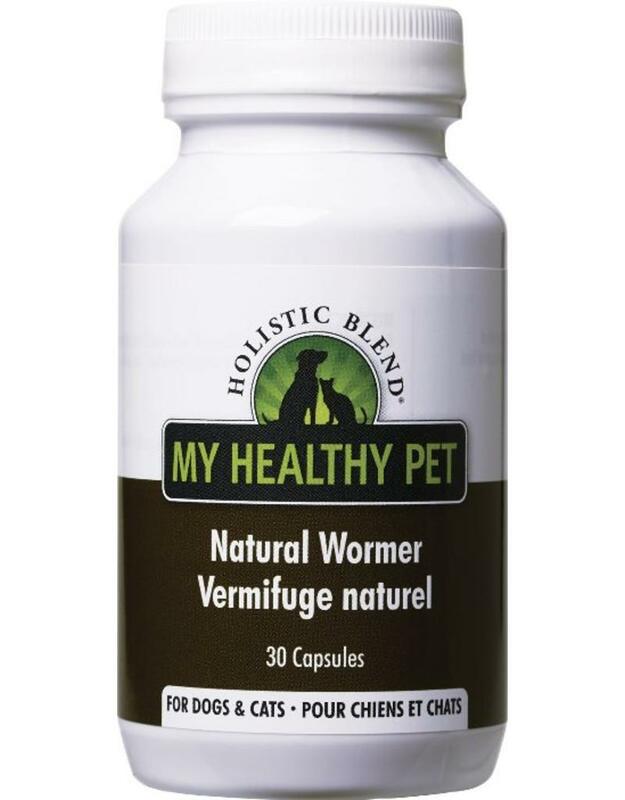 Holistic Blend Natural Wormer protects against roundworm, tapeworms, hookworms, pinworms, blood fluke and intestinal parasites to keep your pet worm-free and feeling her absolute best. Ingredients: Betel Nut, Polyporus Mylittae, Pumpkin Seeds, Garlic Powder, Wormwood, Rhizoma Rhei, Mint Leaves, Cloves, Walnut and Cellulose.